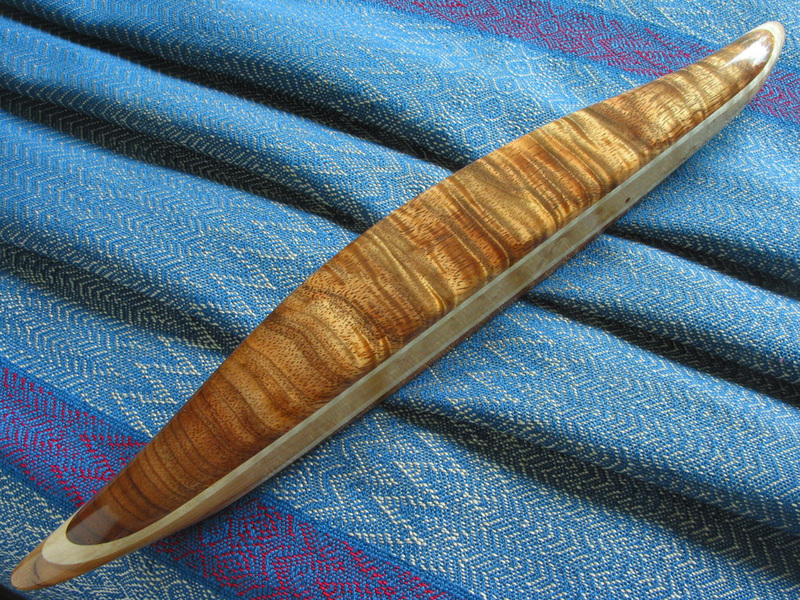 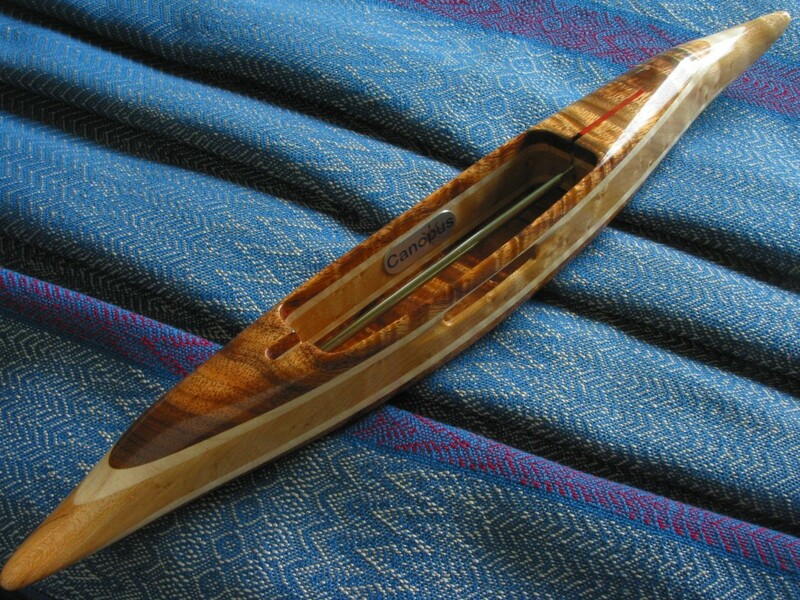 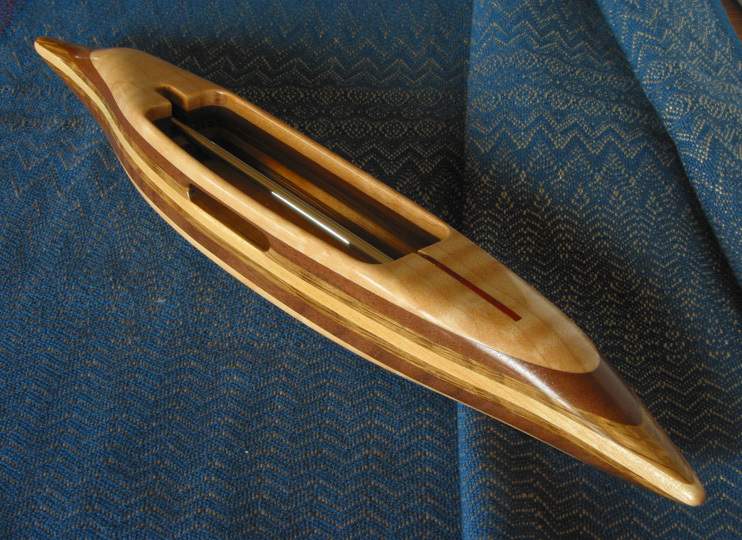 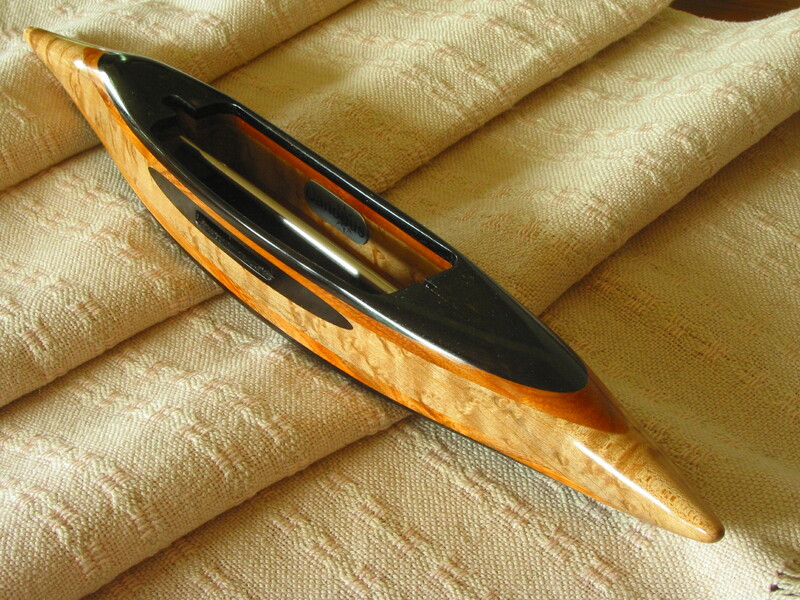 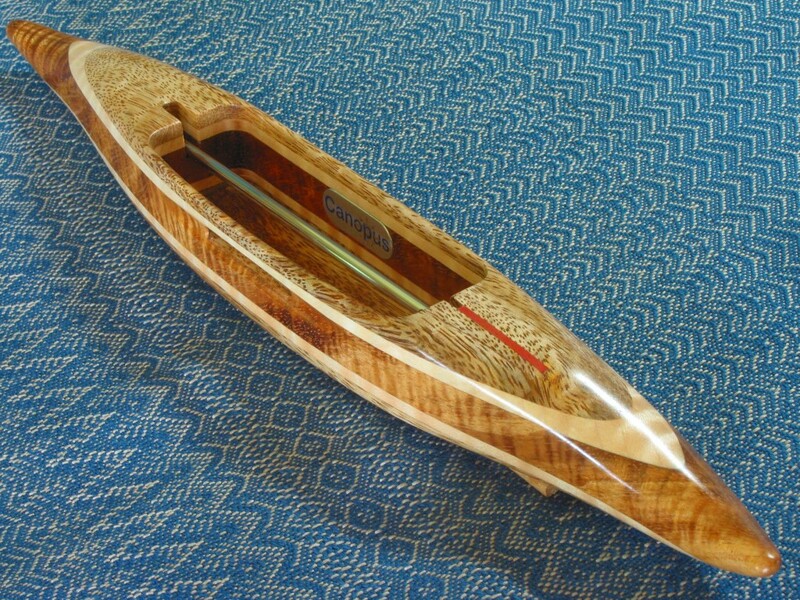 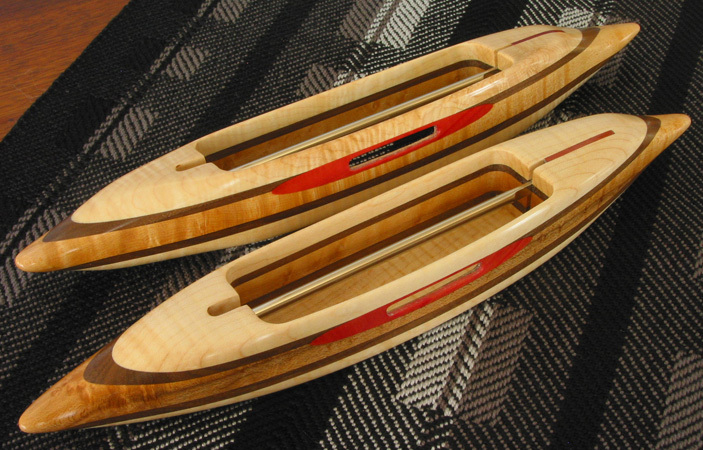 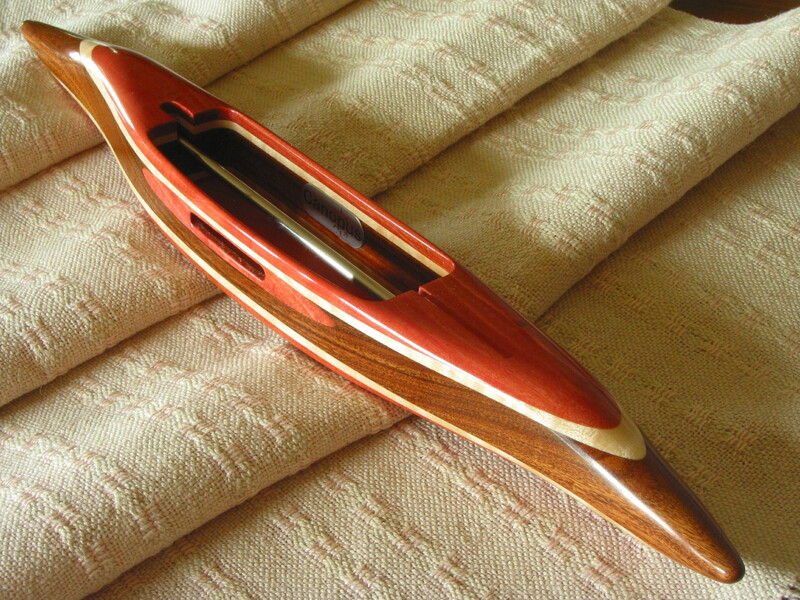 Custom made stick shuttles: exotic-grained woods are stabilized by making a plywood of two different woods. 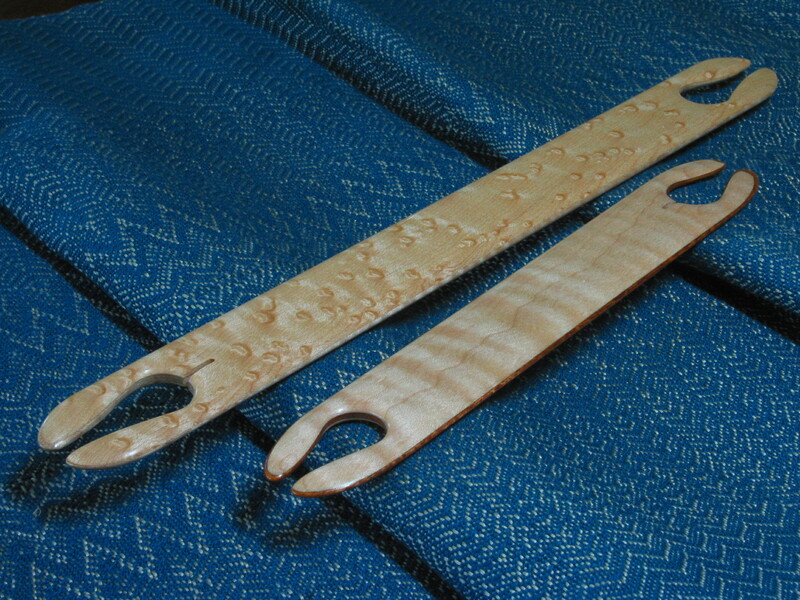 These are tiger and bird’s eye maple on outside surface. 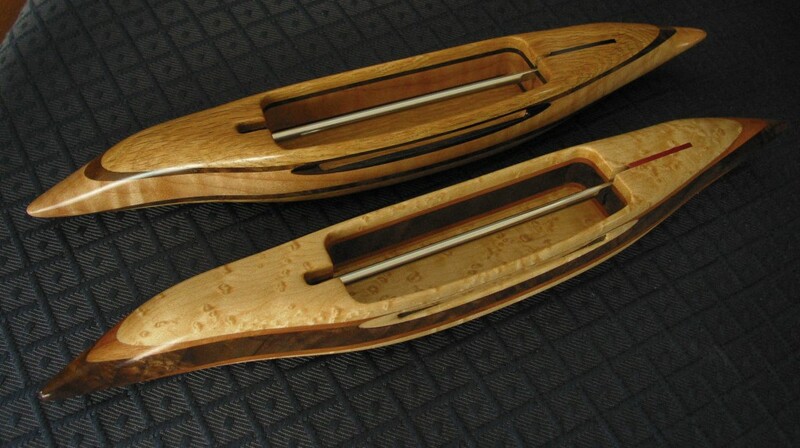 Full view of custom stick shuttles. 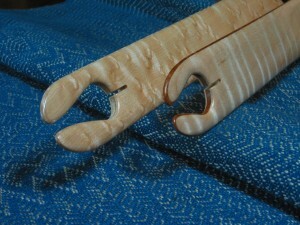 These are finely shaped, and sanded to 2000 grit.